To truly appreciate wine, sometimes you have to look outside the glass. 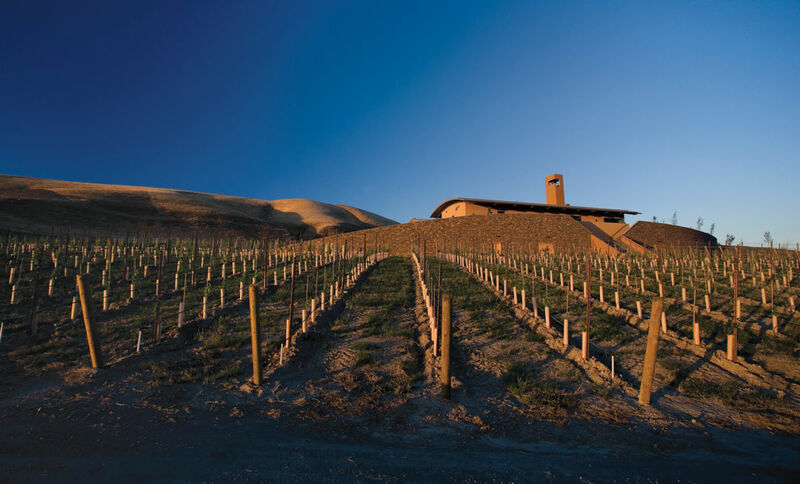 Here are 10 must-see wineries for Washington oenophiles. WHEN TO GO The summer concert series runs from late May to September. WHILE YOU’RE THERE Woodinville’s oldest winery has a lot of new neighbors; winemakers from across the state are setting up tasting rooms there. Just up the road in the Schoolhouse District, check out new pour spots from Alexandria Nicole, Mark Ryan, and Dusted Valley, among others. In 1994, Ste Michelle Wine Estates-owned Northstar Winery set out to show that the world’s best merlot—a black grape traditional to France’s Bordeaux region—could be grown and blended in Washington state. Consider that point proven: In a blind tasting at the Food Network’s 2009 South Beach Wine and Food Festival, Northstar’s 2005 Walla Walla Merlot defeated five wines from France’s famed Right Bank region, securing our place in the merlot-making hall of fame. WHEN TO GO The tasting room pours from 11am to 5pm Monday through Saturday, and 11am to 4pm on Sunday. The last Dave Matthews Band CD you bought may predate iTunes, but the group still sells out a set of shows every summer at the Gorge Amphitheater in Quincy, Washington. 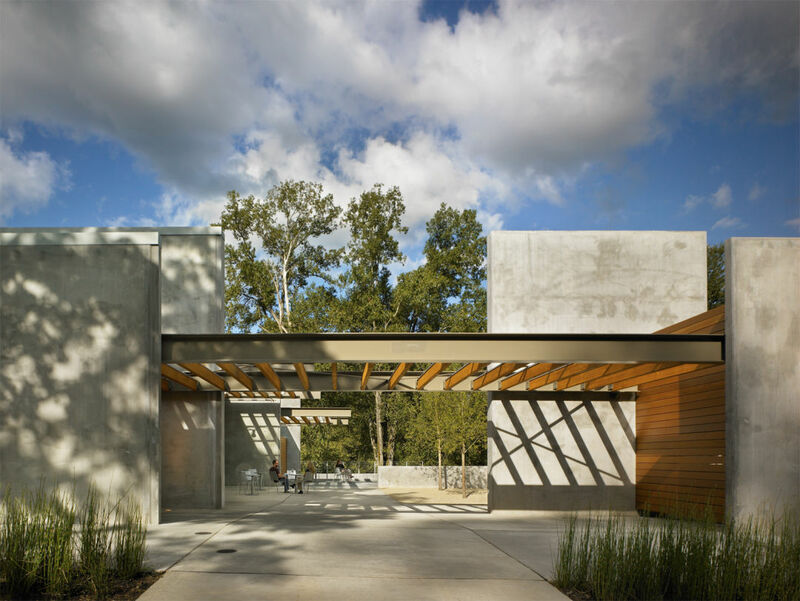 And every summer the DMB entourage buys out Cave B—110 acres of vineyard surrounding a Tom Kundig–designed inn, its sloping half-moon roof mimicked in a smattering of private guest houses perched on the edge of a 900-foot basalt cliff overlooking the Columbia River Gorge. 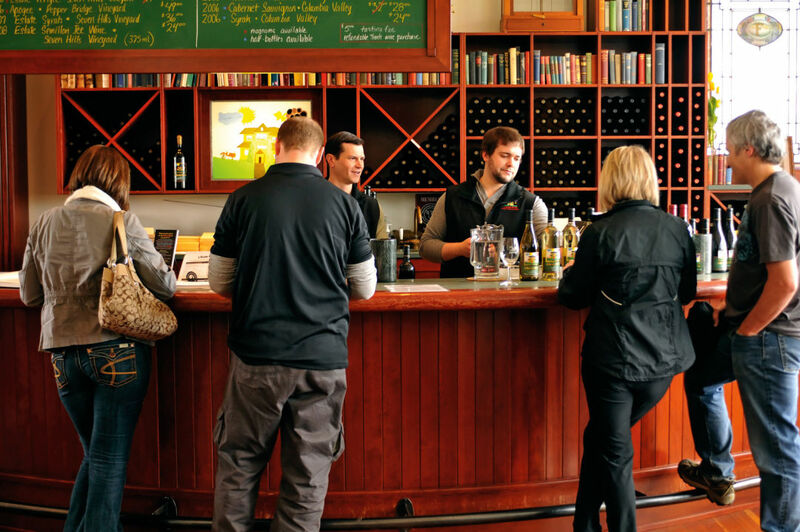 WHEN TO GO Daytrippers should check the website for tasting room hours, which change with the season. When planning an overnight getaway, do like Dave Matthews and book well in advance. WHILE YOU’RE THERE Consider “roughing it” in one of Cave B’s luxury yurts—complete with WiFi and iPod docking stations. BE SURE TO SIP The Wine Advocate consistently bestows an impressive 90 points upon the cabernet sauvignon. WHEN TO GO No appointment is needed Wednesday through Sunday, 11-5. Check their website for details on private tastings and tours. Belly up to the bar at Portteus, in the dense vineyards of Rattlesnake Hills, and owner Paul Portteus will ply you with samples of his acclaimed wines while he explains, not for the first time, why he snubbed California to set up shop in Yakima Valley. 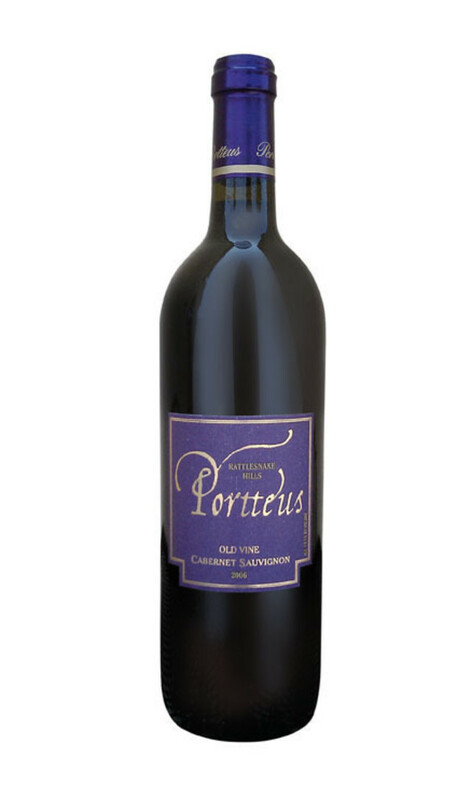 BE SURE TO SIP The 2006 Old Vine cabernet sauvignon, produced from Portteus’s oldest vineyard block, recently won top honors in both the Seattle Wine Awards and Northwest Wine Summit. WHILE YOU’RE THERE Don’t miss quirky Paradisos del Sol winery, or its giant wall of recycled wine bottles, just up the road on Highland Drive. The scene outside the window of your room at the Inn at Abeja Winery plays like a shot from a Terrence Malick film. Wheat whips the air. The sky goes golden in the abating sunlight. A deer picks its way through the gardens as a bird lights on a grape vine. You reach for the field guide and binoculars, provided by the inn. You identify the feathered wayfarer—a yellow-breasted chat, say—then telescope your gaze out across the winery’s 35 acres. Fully-restored, century-old buildings—barn, carriage house, chicken coop—wed agrarian romance with twenty-first-century wine tourism. Converted from an old wheat and dairy farm and opened in 2000, Abeja (Spanish for “bee”) is an eight-minute drive from Walla Walla. To visit the winery, you have to sign up as an overnight guest of the inn; the staff will greet you with a glass of cabernet sauvignon upon check-in. Your room may be the chicken coop—fully redesigned and refurbished, of course, with a wide-screen TV, WiFi, and a plush queen-size bed—or the bunk house, where, decades ago, farm hands slept off the harvest’s assault on their muscles. BE SURE TO SIP Abeja’s viognier has the acid to help it hold up against all kinds of food, making it a great pairing wine. WHEN TO GO May 5 through 7 is their Spring Release Weekend, a chance to be among the first to taste their seasonal wines. Mailing-list members and guests of the inn are invited. BE SURE TO SIP We love Mike Januik’s way with the white wines, especially his Stillwater Creek roussanne and chardonnay. WHILE YOU’RE THERE Consider opting in to Cellar Circle (there are two membership tiers) to gain access to limited releases, waived tasting fees, and invitation-only parties and events. If you’ve ever daydreamed your way out of a staff meeting and into a sun-drenched afternoon in wine country, the image in your head probably looked a lot like Nefarious Cellars. Topping a vine-bedecked hill overlooking sparkling Lake Chelan, the tasting room buzzes with hotspot energy but is unadorned with the tourist-trap bric-a-brac you’ll find at neighboring wineries—lest homemade jam and souvenir stemware distract from the wine itself. WHEN TO GO Visit the tasting room from April through October, hours vary depending on the season. WHILE YOU’RE THERE If you’re looking for lunch, head to the opposite shore of Lake Chelan. The bistro at Vin du Lac winery has panini, pureed soups, and salads, plus more jaw-dropping views of the water. 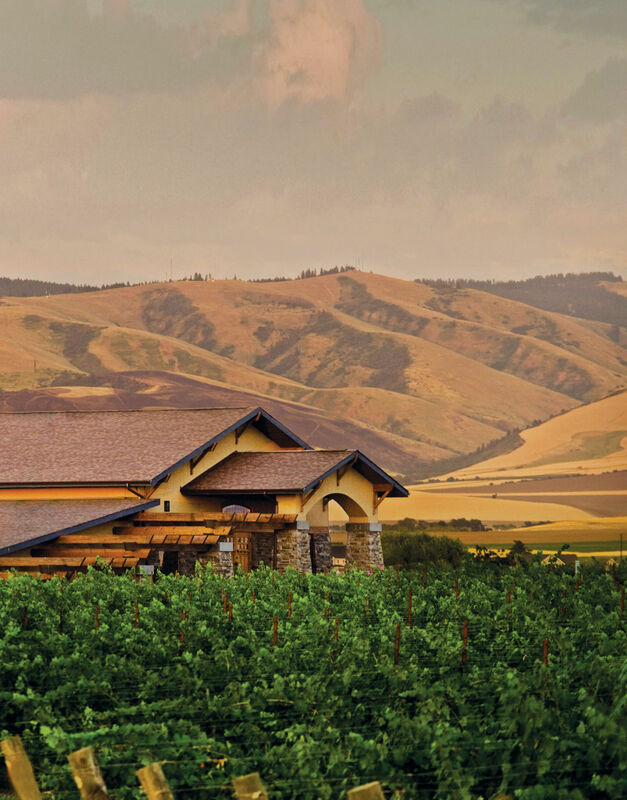 Badger Mountain Vineyard, the first certified organic vineyard in Washington State, sits behind a quiet subdivision populated with identical houses. But its origins are anything but cookie-cutter. Back in 1982, Bill Powers, an Oklahoma cattle rancher who moved to the Tri-Cities area in 1957, saw the potential in Washington’s burgeoning wine industry. He sold his family orchard and planted a 73-acre vineyard on the southern slope of Badger Mountain in the Rattlesnake Hills. But Powers grew increasingly concerned about the health of vineyard workers and nearby residents. So he switched to organic farming methods. Over the years, the winery’s commitment to the environment has extended beyond producing organic vino. Tractors are fueled with homebrewed biodiesel made from restaurant cooking oil, and sunshine powers the winery’s cozy 900-square-foot tasting room. “Eventually, the winery, barrel room, and entire operation will be solar-powered,” says Powers’s son and winemaker Greg. BE SURE TO SIP On our last visit, we couldn’t seem to stop drinking the 2007 syrah. WHEN TO GO Consider arranging a trip during the annual Tri-Cities Wine Festival, held this year November 12, 2016. You know the schoolhouse that’s on the labels of L’Ecole No 41 wines? The winery is actually inside that schoolhouse, which was built in 1915 in historic Frenchtown just west of Walla Walla. 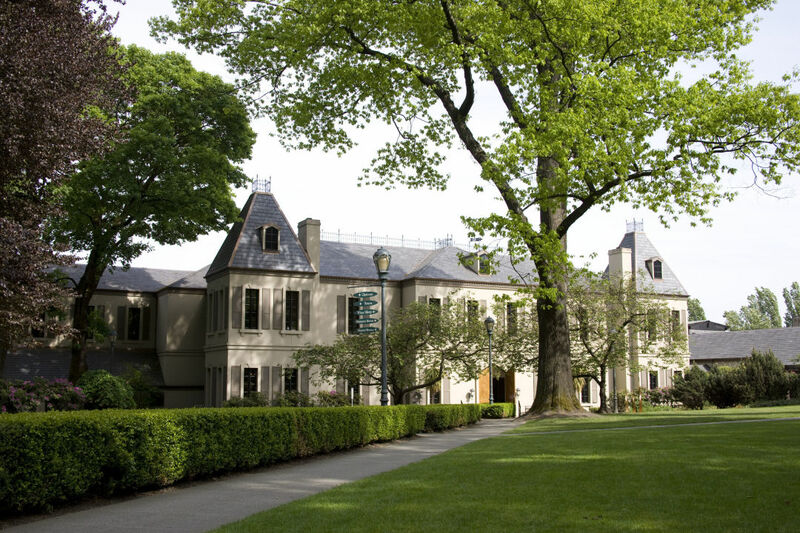 In fact, l’ecole means “school” in French, and if you’re serious about Washington wine, a field trip there is pretty much mandatory. BE SURE TO SIP Critics consistently give high marks to the Bordeaux-style red blends Perigee and Apogee and the refreshing blend of semillon and sauvignon blanc called Luminesce. WHILE YOU’RE THERE Do not miss the chance to try wines at Rick Small’s renowned Woodward Canyon Winery just up the road. Remember, when visiting small wineries with a group of four or more, it’s best to call ahead and let them know you’re coming.